We are a nation of immigrants. Most of us descend from others who came to this land whether by their own volition or against their will. With this in mind, I will be documenting all the known immigrant ancestors for both my family and my spouse’s family. This is seventh installment of this series. Next up in my quest for identifying immigrant ancestors are the predecessors of my husband’s paternal grandmother. 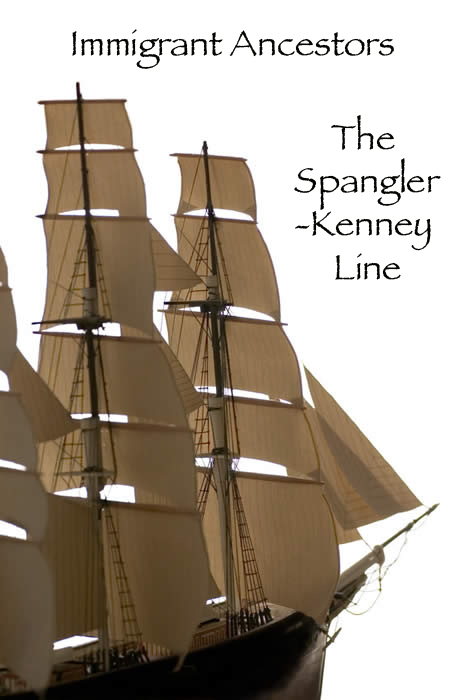 However, with the sheer number of known immigrants in her lineage, I have decided to divide up the Spangler-Kenney line, focusing on just the Spangler forebearers in this post and the Kenney progenitors in the next. The majority of my spouse’s Spangler immigrant ancestors span back five or more generations. We are a nation of immigrants. Most of us descend from others who came to this land whether by their own volition or against their will. With this in mind, I will be documenting all the known immigrant ancestors for both my family and my spouse’s family. This is sixth installment of this series. Now that I have finished documenting both sides of my family’s immigrant ancestors, I now will document my spouse’s immigrant ancestors. First up is his father’s paternal line: the Caimi–Culatina family. Of all of the lines I am documenting (both my own and my spouse’s), this one has the most recent American immigrants.